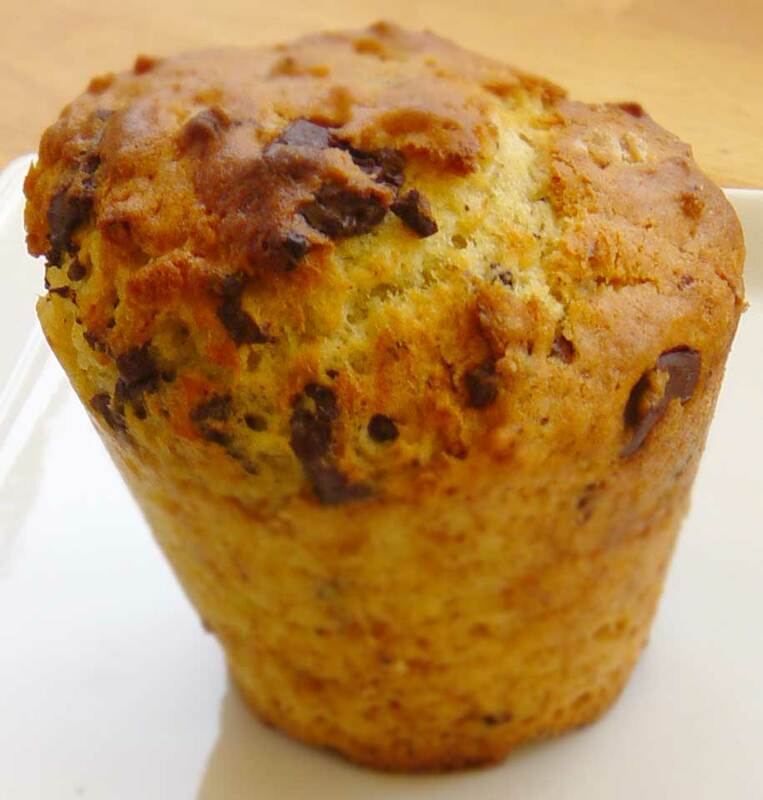 Video Recipe - My favorite recipe for muffins. Easy to make. They are large, moist and tasty. In the past I did not eat muffins. I knew them only as small pieces of sponge cake with paper to be pulled off. Boring and tedious. But when we go abroad, the family is thrilled to get into Starbucks and get cocoa and muffins. Their muffins are also large moist and tasty. I then made this recipe inspired by them. And now the family will rather have "our own" muffins. 2 1/2 dl (1 cup) yogurt, kefir or similar similar fermented sour milk. Mix the dry and the wet ingredients separately. Chop the chocolate coarsely. ½ x ½ cm (¼ x ¼ inch) pieces. Grate the orange peel. Squeeze the juice out of the orange. Mix juice and zest in with the wet ingredients. Stir the wet and dry ingredients together with a spoon, ladle or similar. Stir just until all the flour is wet. If you "kneed" it too much it become less cake-like and more like bread. The crumb structure changes and it becomes chevy and full of air bubbles, like bread. Muffins should be soft and spongy and break apart easily. Pour the batter into muffin molds that are large enough that you can get 12 pieces out of it. Bake at 200°C (390°F) convection for 20 minutes. Until they are golden. Cool at least 20 minutes before eating. If they stick in the mold you can use a small knife or a meat pin to loosen the muffin from the mold.